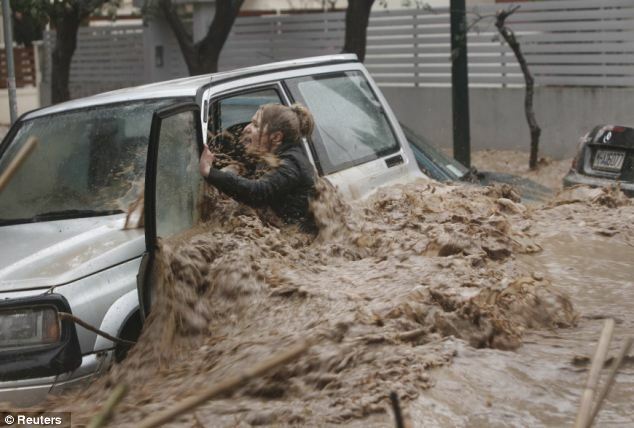 The Greek capital Athens is experiencing a worst storm in 50 years and fast muddy waters are playing havouc in the Athens streets. A terrified motorist was left clinging onto her car as it was swept away by flood waters surging through the streets of Athens today. 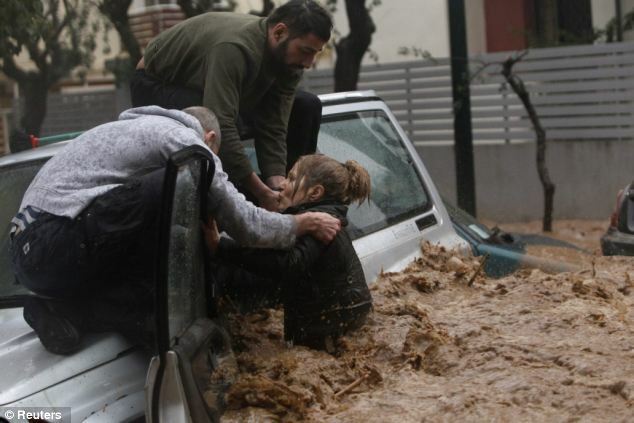 The dramatic scenes unfolded as torrential rain led to flash flooding in the Greek capital, where one woman has died and thousands more people left stranded. Two men climbed onto the roof of the silver 4x4 and pulled the driver to safety in northern suburb of Chalandri.